Zed Group is a company specializes in products and services for mobile over 15 years experience in the digital industry. Operates over 61 countries and has employees of more than 50 nationalities. 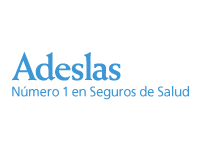 Mutua Madrileña Automovilista Society fixed premium insurance, based in Spain, was launched on March 13, 1930, being currently the compulsory and voluntary object of vehicle insurance, insurance for personal accident vehicle occupant and life insurances. CCC is the first Centre for Distance Education in Spain. Founded in 1939, offers more than 200 online and distance courses. Currently a team of 350 professionals. With over 85 years experience following its establishment in 1924, the Telefónica activities in Spain are mainly focused on business fixed and mobile telephony, with broadband as the key tool for the development of both businesses and services and applications of information technologies. Direct Seguros is an insurance company that founds, in direct contact with their customers, a new concept among car and motorcycle insurance companies. An agile company able to adapt the new pace of life.